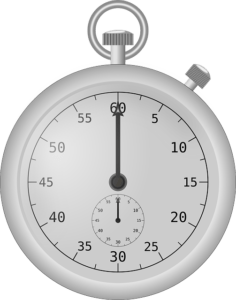 What is a ‘missed time limit’? There are statutory time limits for issuing proceedings in the Courts or the employment tribunal. If those deadlines are missed then your claim will be statute-barred and it is unlikely that the Court will allow you to proceed with your claim. These missed deadlines are known as ‘missed time limits’. If your solicitor was at fault in missing the deadline, because he or she failed to bring proceedings in time, or your claim was struck out due to your solicitors missing a deadline imposed in a Court Order we can assist you in bringing a claim. If your case has been prejudiced, or has collapsed because of a missed time limit by a solicitor, speak to us today about the possibility of making a professional negligence claim. Telephone 01925 937070 or email us diane@dsmlegal.co.uk. Alternatively you can click here to complete our Professional Negligence Enquiry Form. We understand how stressful it is and you will no doubt feel let down by your solicitor, but not all solicitors are the same and at DSM Legal Solicitors we pride ourselves on being experts in our field. We can advise you on the best way to proceed with your negligence claim and ensure that you receive the best possible outcome. Call us to speak to an expert solicitor. Our office is based in Warrington, Cheshire and we have clients across England and Wales. We can assist with other areas of law such as professional negligence claims, wills and probate, oaths, affidavits and statutory declarations, lasting powers of attorney, employment law claims, settlement agreements, personal injury (accident claims), serious injury claims including fatality claims, road traffic accident claims, medical negligence claims and criminal injury compensation claims. What if my solicitor has gone out of business or has no assets? Your solicitor is insured against negligence claims, so if you think that your solicitor missed a deadline we would be pleased to carry out a free assessment to find out if you have a case. If we think that you have good prospects of succeeding then we will take your case on a No Win No Fee. Please note that there are strict time limits involved in bringing a professional negligence claim. Call Diane Massey on 01925 937070 for a free no obligation discussion in complete confidence or email diane@dsmlegal.co.uk. Or click here to complete our Professional Negligence Enquiry Form and a member of our team will contact you.